Review policies and education of staff pertaining to the recognition and de-escalation of hostile and aggressive behavior by patients. Evaluate the need for security personnel and mental health professionals to assist with identification and de-escalation of aggressive behavior. The Joint Commission Sentinel Event Alert Issue 59, April 17, 2018. Violence against health care workers. The Joint Commission Sentinel Event Alert Infographic. Take a stand: No more violence to health care workers. 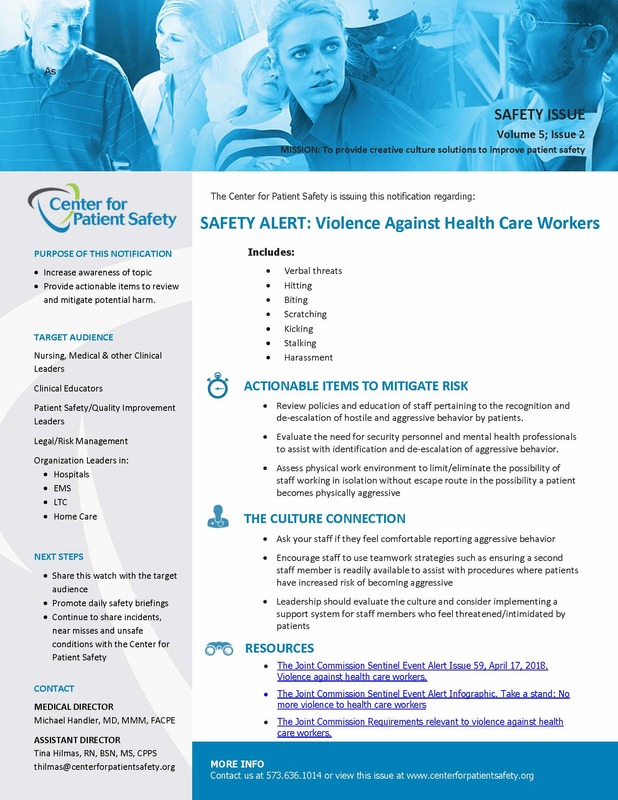 The Joint Commission Requirements relevant to violence against health care workers.